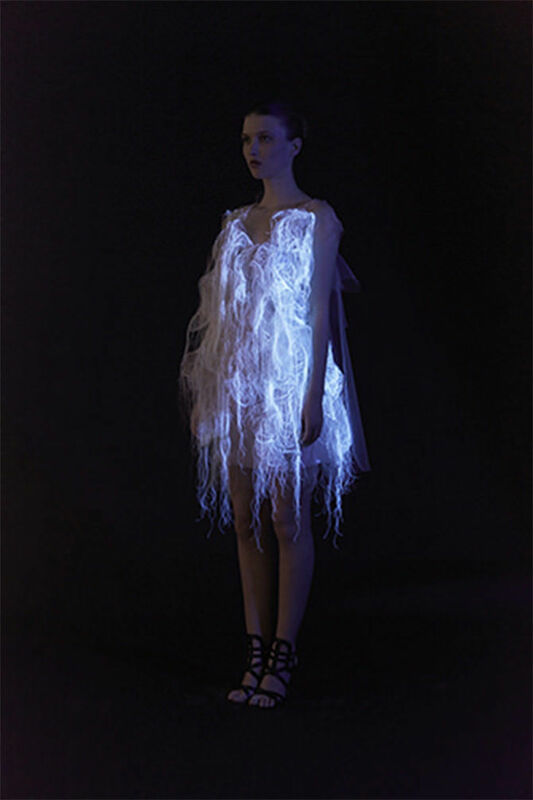 Oklahoma Contemporary featured CODED_COUTURE, an exhibition that looked at the intersection of fashion and technology, during the summer of 2017. CODED_COUTURE offered a new definition of couture, using computer coding as the ultimate design tool for customizing clothing and accessories. The clothing in this exhibition acted as a lie detector, shifted according to the viewer’s gaze, and interacted with social media such as Twitter. CODED_COUTURE featured the work of 10 international artist-designers whose inventive techniques are rooted in new technology. These practitioners each used coding as part of the manufacturing process or as an interactive element while the garment was worn. They pioneered ways to communicate and connect with the wearer, gathering information that transforms the aesthetics of the work in substantial ways. The unique results, created in partnership with each individual wearer, go far beyond the mass-market approach of companies like Nike and Levi’s who offer customers the option to select from a limited palette of colors or patterns from a drop-down menu. In this exhibition, design overlapped with art as an innovative form of creative expression. The garments in the exhibition were proposals for a future way of designing clothing to fit the body and mind. The exhibition included prototypes, drawings, sketchbooks and video projections. The exhibition allowed visitors to engage in the design process, using technology and their own data to develop new items of clothing. While futuristic in conception, the exhibition touched on many themes relevant to all fashion design today: identity, representation and how we relate to others through highly personalized fashion designs. 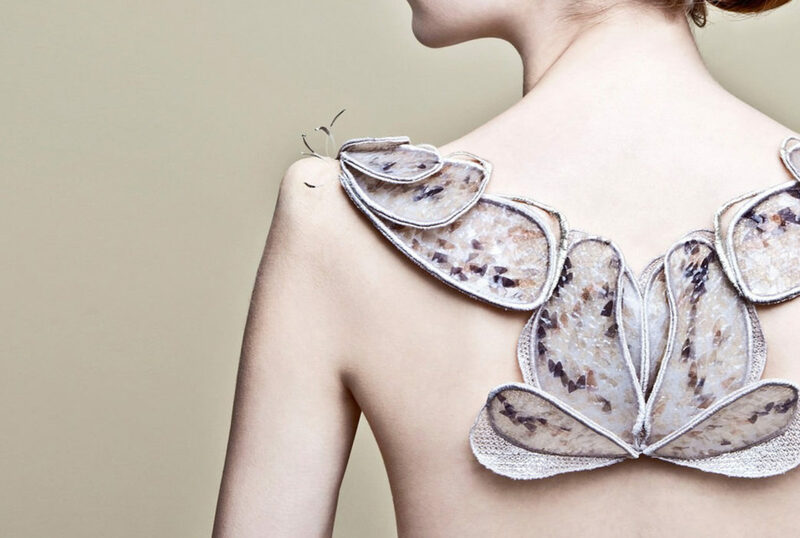 A series of prototype dresses by the Chinese designer Ying Gao used the latest in fabric technology. Works in the exhibition glowed to track the viewer’s gaze or shifted according to surrounding sounds. 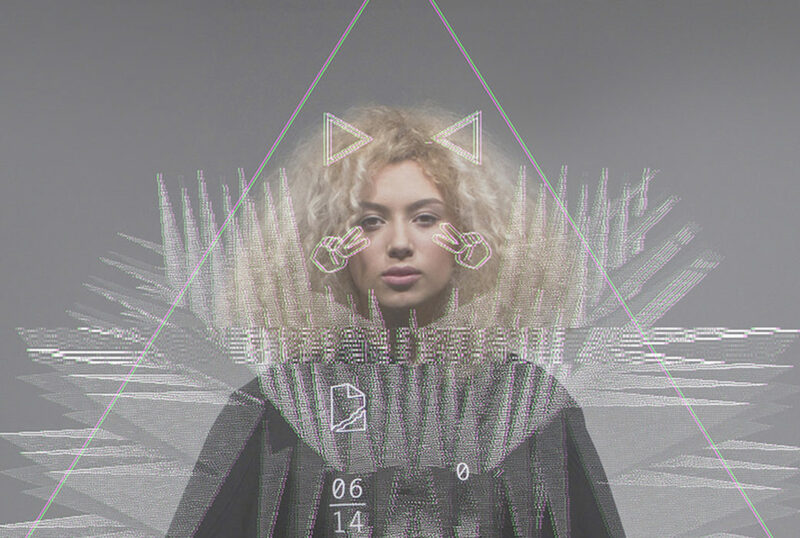 The iMiniSkirt by British fashion brand CuteCircuit (Francesca Rosella and Ryan Genz) displayed live Tweets across its fabric surface. The iMiniSkirt also changed color and animation based on real-time audience input, therefore creating a constantly evolving dynamic display. Visitors were encouraged to interact with the piece using a specially created hashtag and app on the nearby tablet. 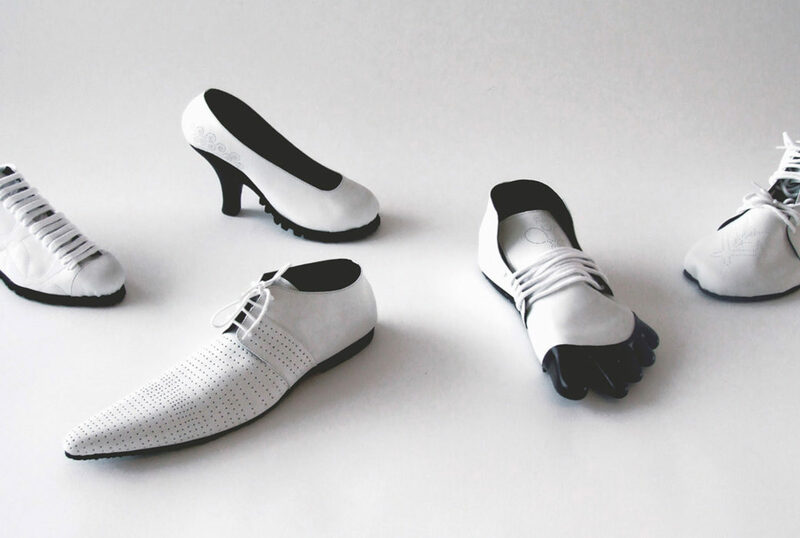 Otherworldly shoes by Dutch designer Marloes ten Bhömer used advanced technologies and materials to re-think the structure of the high heel, offering alternative styles in clean lines and construction techniques drawn from other disciplines, such as architecture. Other featured designers included: the collaborative team of Melissa Coleman, Leonie Smelt and Joachim Rotteveel (the Netherlands); Amy Congdon (UK); Cedric Flazinski (Paris, France); Mary Huang (China/New York); the collaborative N O R M A L S (France); Rebeccah Pailes-Friedman (New York); Simon Thorogood (Edinburgh, UK); and Alison Tsai (Taiwan/New York). Oklahoma Contemporary included a full schedule of programming for both adults and children, based on themes of design innovation and personal expression through fashion. CODED_COUTURE was organized by the Department of Exhibitions, Pratt Institute, Brooklyn, New York, and was curated by Ginger Gregg Duggan and Judith Hoos Fox of c² curatorsquared. 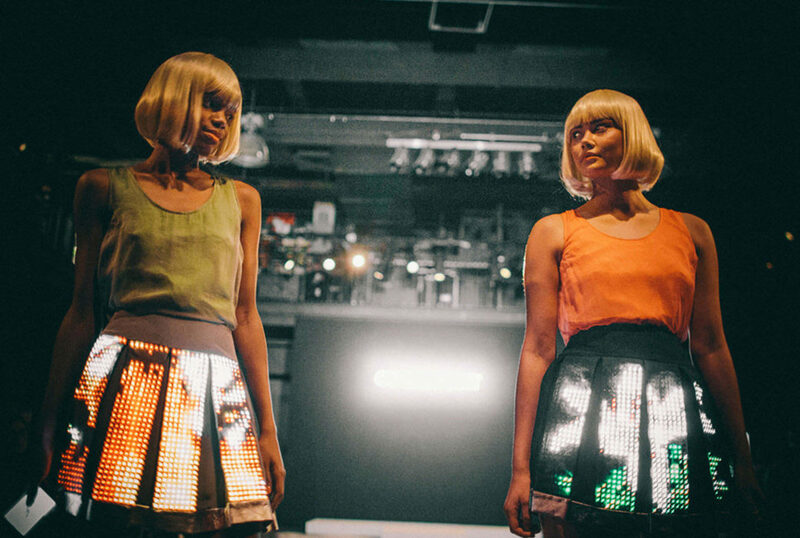 FutureFashion was a show inspired by ways fashion might evolve as the future does. It featured original pieces designed and created in collaboration with fashion designer Lori Bacigalupi (Kiss of the Wolf), whose work has been featured in the Smithsonian and New York Fashion Week. The show included a full theatrical production, incorporating original set pieces and projection mapping designed by Rose Swift Baez and Dylan Mackey as well as original choreography by internationally recognized choreographer and dancer Rachel Hendricks. Additional visionaries included tailors and seamstress Yan Lan and Ring Jiao Wang (Kiss of the Wolf), origami-ists and tech experts Erin Carter and Peter Froslie (assistant professor of art and technology, University of Oklahoma), production designer and producer Baez (MFMediums) and producer Mackey (MFMediums).